OXYCHECK flow control components are designed with your applications in mind. 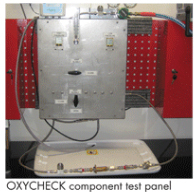 OXYCHECK products are highly compatible with existing systems and can be easily retrofitted. So whether you're setting up a new system or performing routine maintenance, upgrade to an OXYCHECK component.